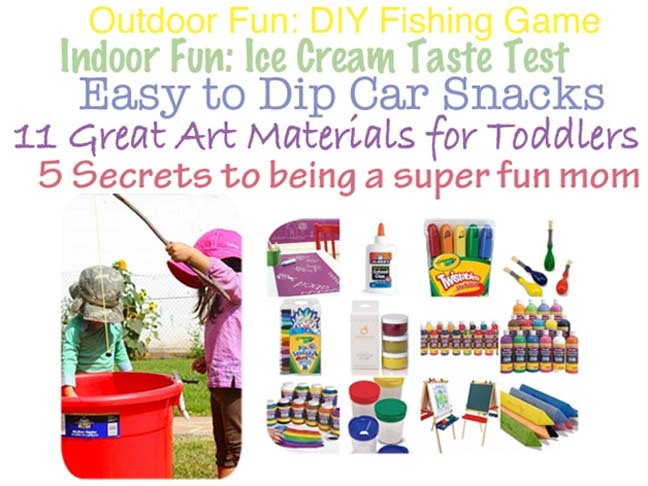 Take advantage of the sun and get outside with this DIY fishing game. Then come in and cool off to some sweet science with this ice cream taste test. Easy to dip car snacks – genius or an accident waiting to happen? 11 Great art materials for toddlers that go beyond your basic crayons. 5 Secrets to being a super fun mom – my favorite is #3: be a rebel!